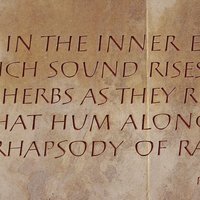 Have you ever wanted to make and write a personal and unique book, that has particular meaning for you? This course will take you through steps to design, plan and make a book with your chosen text and then bind it in an effective and appropriate manner. Learn about traditional elements of book design and discover possibilities for contemporary interpretations of a manuscript book. Have you ever wanted to make and write a personal and unique book, that has particular meaning for you. This course will take you through steps to design, plan and make a book with your chosen text and then bind it in an effective and appropriate manner. Learn about traditional elements of book design and discover possibilities for contemporary interpretations of a manuscript book. The most special manuscript books throughout history have been made by hand often by one person or a small team. On this course, you will learn the starting points for designing your own manuscript book by understanding traditional elements of book design and discovering possibilities for contemporary interpretations. Page layout, scale, guides for ruling up, positioning of writing, headings, illustrations and technical guidelines are important considerations which this course will introduce you to and help you with. The first evening session will be about the basic elements of book design and making. You will have help to begin making decisions to enable you to get started on your project first thing the following morning. Working with your chosen text , you will design a book, consider all the elements from the beginning, from choice of script, through page layout to writing and then the finished binding. You will be able to look at real examples and images of historical and contemporary manuscript books to inform and inspire your work. There will be time to make either a whole manuscript book using a short text or to work on the design and planning of a larger work, making roughs and trials and models to equip you with enough experience to complete a longer book at home. 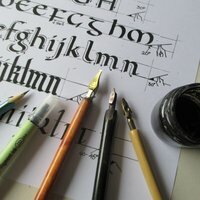 Ideally, you should have some knowledge and practice of calligraphy as there will not be time for beginners' calligraphy tuition but those without calligraphic experience can choose to use their handwriting. Learning to make a manuscript book is valuable experience, with or without calligraphic skills. Please bring with you several texts that you like, prose and/or poetry, and wish to choose from to work with. Inks and paints: bottled calligraphy ink, stick ink and stones, gouache and watercolour paints. Papers suitable for written pages, such as Zerkall, Fabriano, Somerset and Rives BFK papers. 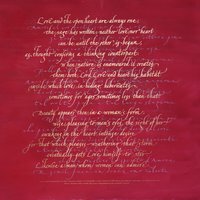 Susan Hufton trained at Roehampton and now teaches and writes about calligraphy and bookbinding in the UK and abroad. She undertakes public and private commissions, and has pieces in V&A and Crafts Study Centre collections. 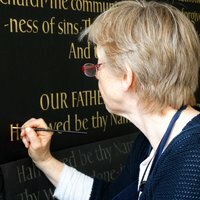 Susan is a Fellow of The Society of Scribes and Illuminators and Full Member of Letter Exchange.